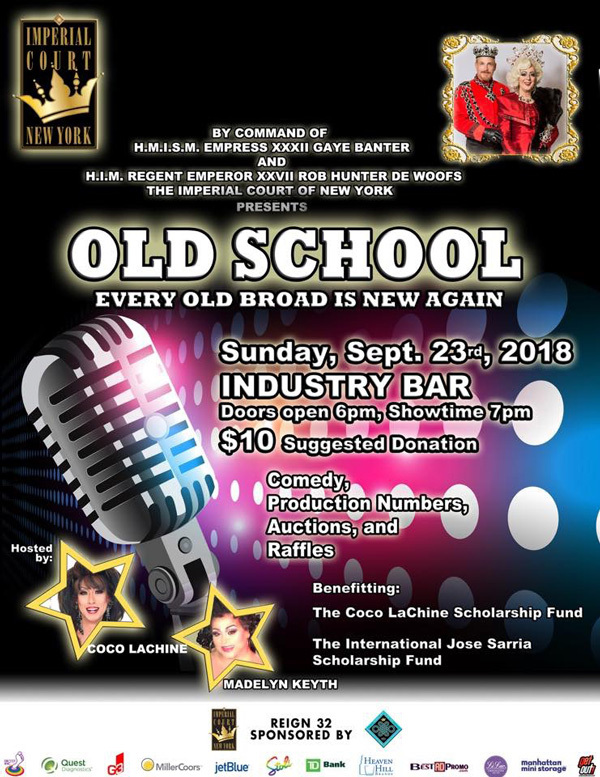 One Eye Jacks, 380 North Wantaugh Ave.
Old School...where every old broad is new again! 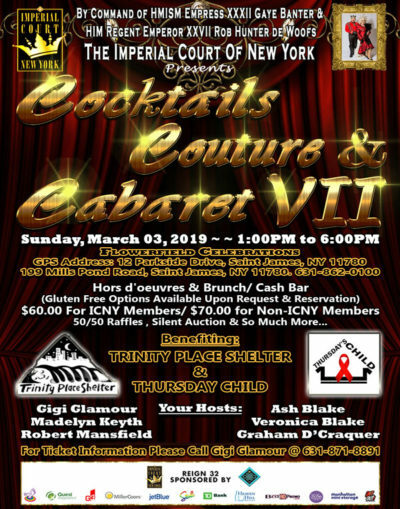 Come out to support Trinity Place Shelter. 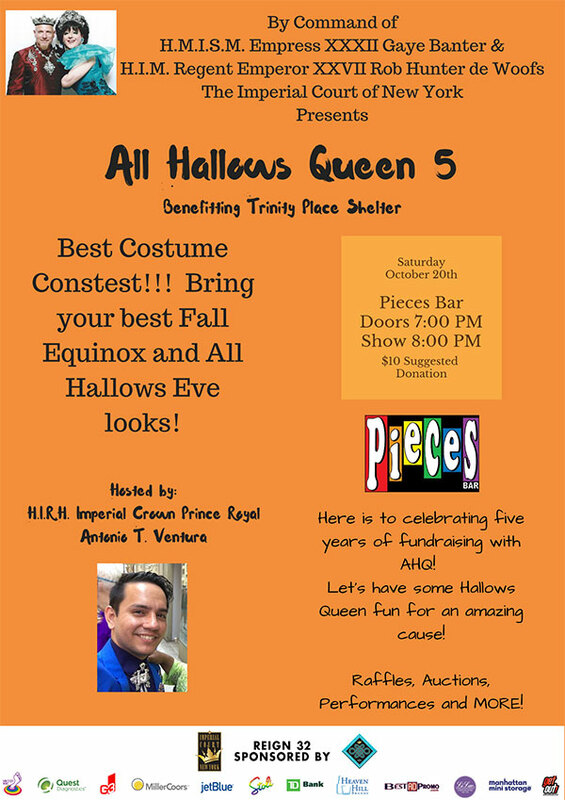 Best costume contest, raffles, auctions, performances and more! 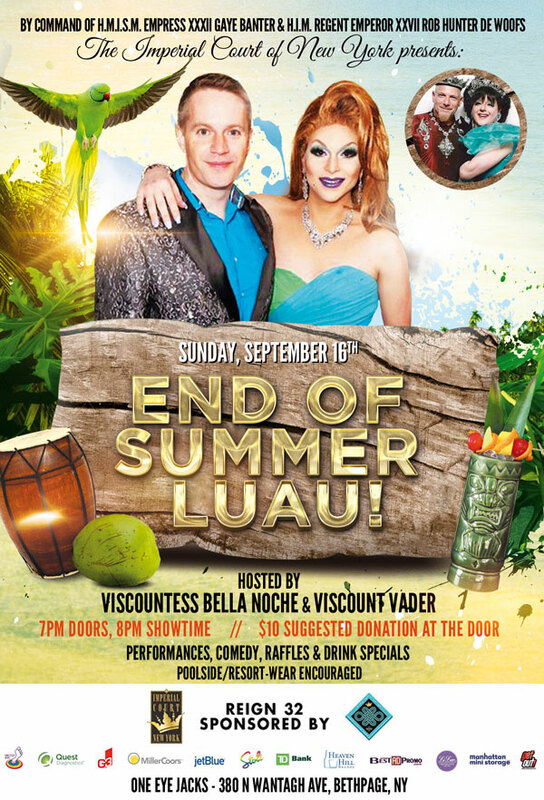 Casa La Femme, 120 Charles St. 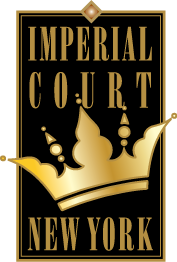 It's time for the Court's annual Holiday Party! 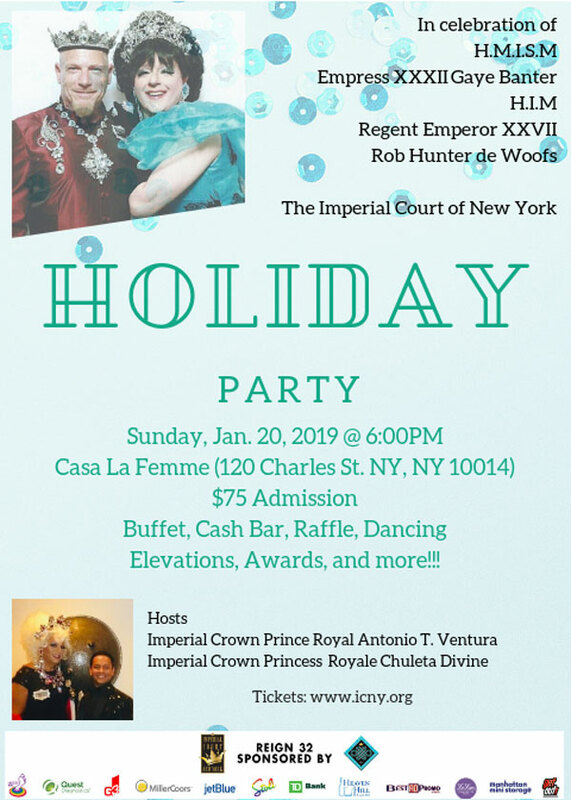 Celebrate the reign of Empress XXXII Gaye Banter and Regent Emperor XXVII Rob Hunter de Woofs. 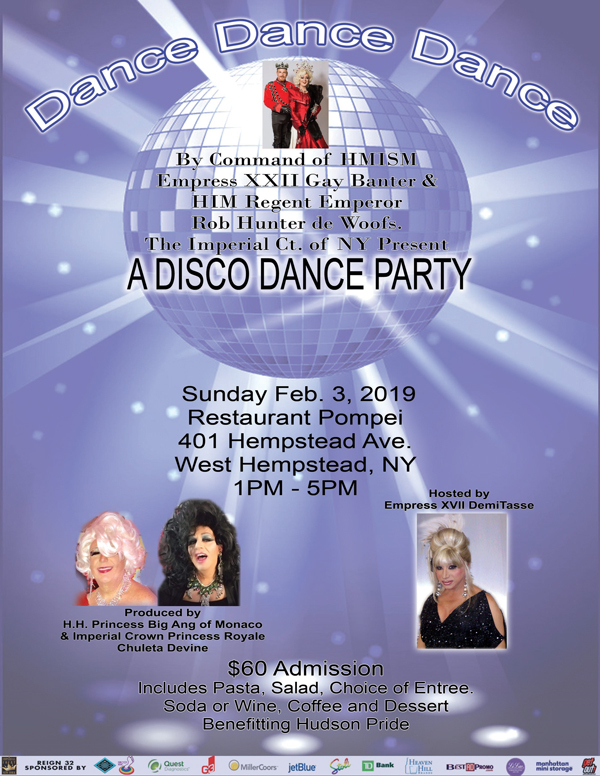 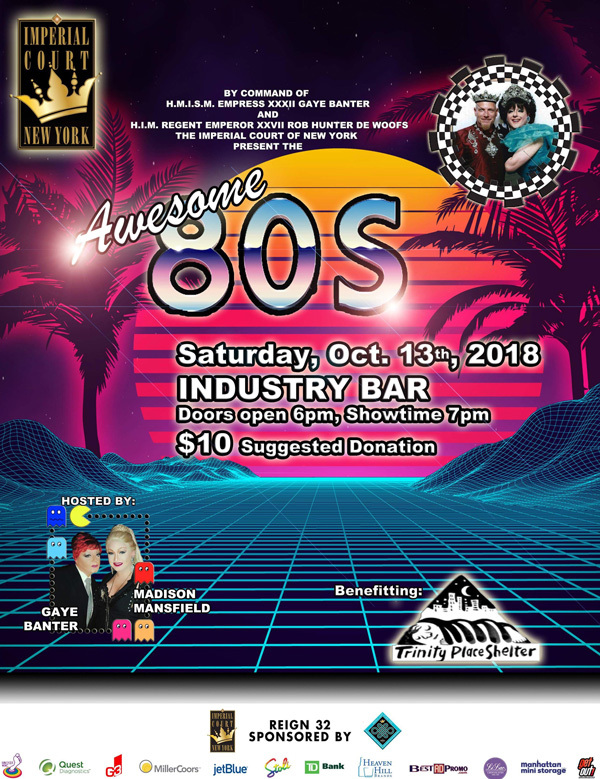 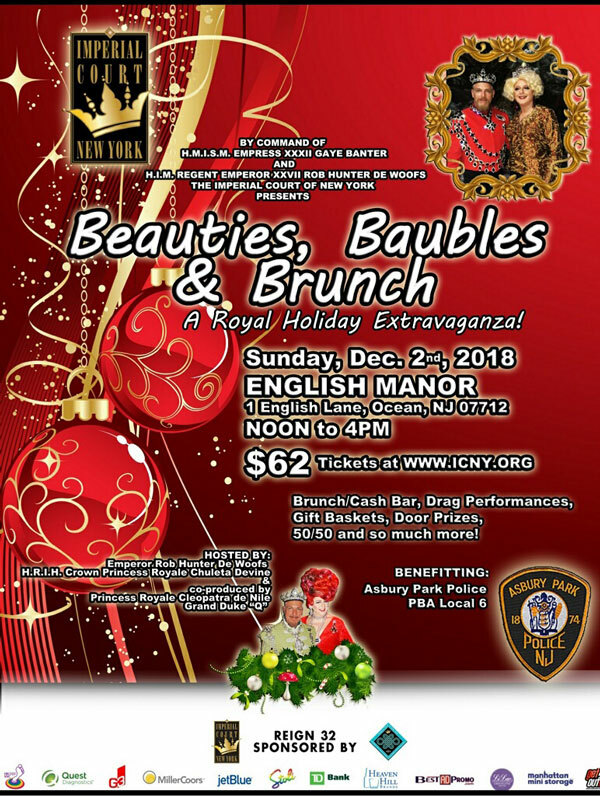 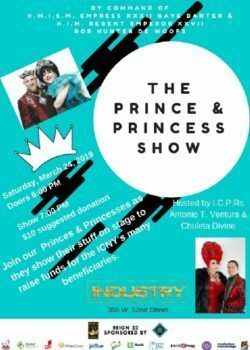 Restaurant Pompei, 401 Hempstead Ave.
Flowerfields Celebrations, 12 Parkside Dr.
Join The Imperial Court of New York Princes and Princesses as they strut their stuff to raise funds for ICNY beneficiaries!